A once-acclaimed portrait artist painted famous faces from Hollywood to the White House. When local collector Wesley Jasinski acquired a massive group of canvases by the painter Greta Kempton, he began to take a closer look at her life. He discovered that this woman who painted movie stars and statesmen had a mystique all her own. Watch the story on Chicago Tonight at 7:00 pm. View a slideshow of Kempton's artwork. We spoke with Wesley's wife and co-founder of the Kempton Foundation, Kristen Jasinski. What initially intrigued you about Greta Kempton as an artist? What initially intrigued us is the fact that she was a very well-known portraitist who had painted a president and other significant people. We just fell in love with the style of her paintings - very classical European, very realistic. She’s a great inspiration to women because she accomplished a great deal in her life at a time when women were subservient in this country. She excelled as an artist, but never really found much stability in her personal life. She had five husbands in her life, sometimes for citizenship and sometimes for love. Nevertheless, none of them gave her the long-term affection she needed. Despite her success as an artist, on a personal level, she really struggled. This was a time when women were expected to get married, have children and embrace their domestic roles. But here was a woman who made her own way. A lot of the husbands that she had couldn’t swallow her success, but it was her financial success that often bailed them out of bad business dealings. But ultimately, she was left alone because they couldn’t swallow her success. Who was Greta Kempton as a woman? How did she go from humble beginnings to Hollywood, and eventually painting portraits of the president? After doing a lot of research, there was a course of six or seven years when she went from really struggling to establishing a life for herself. She had a long battle with her first husband over custody of their daughter, but it was less than a decade later that she was painting the president. She did so by hanging around in the right places. While in Washington, D.C., she was hanging out at the Shoreham Hotel, and she noticed this beautiful young woman and approached her to ask if she could paint her portrait. She happened to be the Secretary of State’s daughter. They were very humbled by Greta’s request, and of course, her mother and eventually the Secretary of State, asked her to paint their portraits. One thing led to another, and after a few commissions, she was painting the president. Beyond the Truman years, she wasn’t just the woman who painted the president. She made significant contributions to the art world. We’re just starting to learn how many heads of companies and other dignitaries that she painted. She was constantly exploring as an artist to expand her reach and skills. Besides being an acclaimed artist, known for her portraits of presidents and other dignitaries, Greta was also regarded as one of the best-dressed women in America. How did this help Greta in terms of acquiring high-profile clients? She was very well-dressed and she knew the value of a good first impression. It was sort of the key to her fitting into the high-society circles. When you walk into a room looking like a million bucks, people want to talk to you, and that’s still true today. It was also a way for her to show respect for her subjects. Even when she was painting in a very dirty environment, she was known to dress very well. The more the subjects feel comfortable with you and feel that they’re with a woman who’s well-cultured, the more they are at ease. Beyond painting a likeness of her subject, did she also try to reveal that person’s character or personality? She was very focused as a painter on portraying a person’s emotions and feelings. It is said that often, she would stand in an art gallery full of people who were viewing her paintings and she would ask people, “What do you think that person was thinking or feeling?” It was very important for her to portray their character on the canvas as well. Tell me about the Greta Kempton Foundation. As a co-founder, what do you hope to accomplish through the foundation? It was established as the single largest collection of her work. We feel she was an artist who made a great contribution to American painting. But the problem, as with anything in life, is marketing. She passed away in 1991 and her daughter didn’t really have the means to promote her legacy. We found that her life story was really quite interesting, and it was a unique opportunity to have all of her artwork in the hands of one foundation. Our mission is really to promote the legacy of the artist, and over time, we hope to mount a meaningful exposition and also chronicle her life through books and/or film. What’s it like living in a house with nearly 200 portraits of famous people? Does your family like them or have favorites? It’s interesting because we do have favorites, but so many of them are favorites. It would be hard to narrow it down and say, “This is one that I’ll keep in my family forever.” We have relatively young children, and I wish I was around to hear what their friends say when they come over to our house. Being able to live with the portraits, you have the chance to discover new things about them every day. Sometimes it takes years to really take in a portrait. Sometimes my husband will move the paintings around to a different wall or into a new light, and you discover something new that you’ve never noticed before. What do visitors say when they see all the paintings? With the portraits, there are so many portraits of Hollywood faces that we kind of have a guessing game where people try to determine who’s who. It’s a great deal of fun and a great conversation starter. I think people are surprised and often overwhelmed. Some take more interest than others. Some people have an interest but don’t want to ask too many questions. Art in and of itself can be a little difficult to approach and a little bit intimidating. But people make it more complex than it ought to be and should just enjoy it for what it is. Do you feel like caretakers of Kempton’s legacy? We definitely feel like we are caretakers. 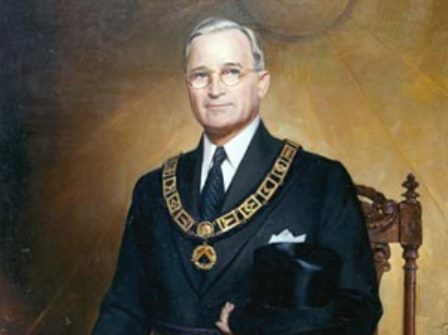 When we first started out, the very first painting that my husband ever bought, I just remember thinking, “Wow, this is the same lady who painted President Truman.” And then at some point, you started researching her life and realized that she had a really colorful life story that should be remembered. So don’t get me wrong -- the art is great and I love it -- but preserving her life and legacy is a far greater responsibility than taking care of any single canvas.